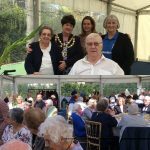 Regenerate-RISE were invited to a lunch party at Templeton House in Roehampton and 80 local residents joined the Deputy Mayor of Wandsworth, Councillor Jane Cooper to a delicious lunch provided by the Feel Good Bakery and listened to music provided by young people. It was a privilege to walk round the grounds on a beautifully sunny day at the end of September. Justine Greening MP joined us and everyone who attended really enjoyed their time. A big thank you to Laura and David Rich-Jones for opening up their home to give us such a treat. Regenerate-RISE is fundraising to build a 10 bed Reablement Unit in the heart of Putney to alleviate the bed blocking crisis that currently exists across the UK in the NHS. If you would like to donate towards this, please go to the Just Giving page on this website. 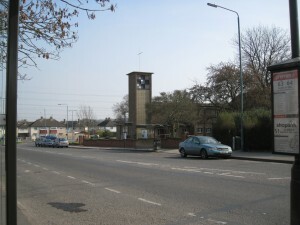 The new Rise Reablement Centre. Click on the panel below to play. RISE Nottingham is based in Clifton and began in April 2012. RISE SW15 began in 2001 in Roehampton and now covers Putney, Putney Vale, Roehampton and West Hill. Regenerate-RISE took over the management of St Michael's Day Centre on 1 November 2017 as an Open Access service within the borough of Wandsworth.